Will the editors at the Washington Post kindly point ‘Columbia’ in a map? I think it’s somewhere around West Harlem, but I’m not sure. 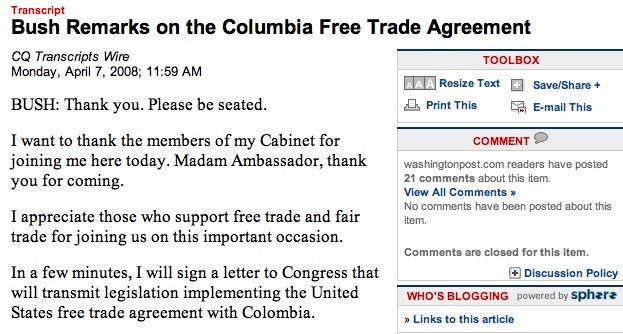 This entry was posted in ItsColombiaNotColumbia, Latin America, Politics, Print media. Bookmark the permalink. It is actually in Maryland. Great, a free trade agreement with Maryland! Wait, free trade for the University? Priceless.